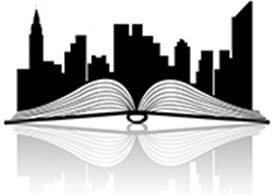 New York, N.Y. – The Book Industry Guild of New York’s 30th Annual New York Book Show will be held on Thursday, October 13, 2016. The Book Industry Guild of New York (BIGNY) event encourages, recognizes, and celebrates excellence in print and electronic book production and design. The event will be held at Battery Gardens, 1 Battery Place, Battery Park, New York, NY, 10004, from 6:00 pm – 9:00 pm. The book show received nearly 700 entries for this year’s event. Judges representing a strong range of publishing industry expertise selected over 140 books for award recognition, which will be on display at the Battery Gardens event. In keeping with BIGNY’s ongoing commitment to enhance literacy, BIGNY will donate all books in the book show to organizations dedicated to promoting literacy. Advance admission for the 30th Annual New York Book Show is $80. From October 1, 2016, ticket prices are $100. Ticket prices include event admission, a buffet dinner and open bar. The event space will feature a display of the show’s award winners. For ticket purchase, visit the Book Industry Guild of New York’s 30th Annual New York Book Show webpage. Thursday, October 13, 2016, from 6:00 pm to 9:00 pm.